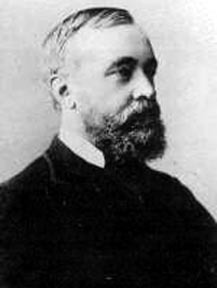 English historian and civil servant, was born on the 6th of February 1839. He came of the younger branch of the family of the famous Whig prime minister Robert Walpole, being descended from his brother, the 1st Lord Walpole of Wolterton. He was the son of the latter's great-grandson, the Right Hon. Spencer Horatio Walpole (1807-1898), three times home secretary under Lord Derby, and through his mother was grandson of Spencer Perceval, the Tory prime minister who was murdered in the House of Commons. He was educated at Eton, and from 1858 to 1867 was a clerk in the War Office, then becoming an inspector of fisheries. In 1882 he was made lieutenant-governor of the Isle of Man, and from 1893 to 1899 he was secretary to the Post Office. In 1898 he was created K.C.B. Although well known as a most efficient public servant, and in private life as the most amiable of men, Sir Spencer Walpole's real title to remembrance is as an historian. His family connections gave him a natural bent to the study of public affairs, and their mingling of Whig and Tory in politics contributed, no doubt, to that quality of judicious balance -- inclining, however, to the Whig or moderate Liberal side -- which, together with his sanity and accuracy, is so characteristic of his writings. His principal work, the History of England from 1815 (1878-86), in six volumes, was carried down to 1858, and was continued in his History of Twenty-Five Years (1904). Among his other publications come his lives of Spencer Perceval (1894) and Lord John Russell (1889), and a volume of valuable Studies in Biography (1906). He died on the 7th of July 1907.